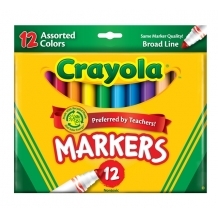 These classic, long-lasting, broad line markers are perfect for coloring, laying down lots of brilliant color without bleeding through most paper. Completely non-toxic and washable! 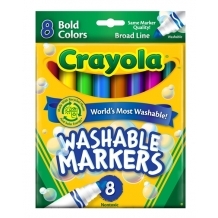 8 assorted bold.. 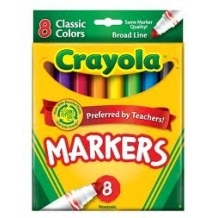 This 8 count pack of Bold Colored Crayola thin line markers are a great addition to any child's school supply list. 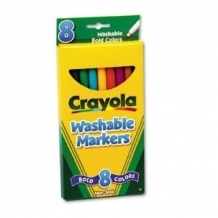 Completely washable and non-toxic for use by children of all ages. This thin line.. 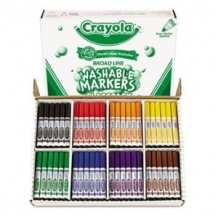 This 8 color count set of thin line crayola markers are a great addition to any school supply list. 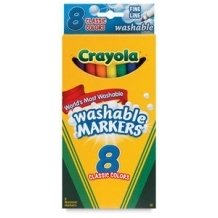 These markers are the world's most washable and completely non-toxic making them the #1 pick for .. 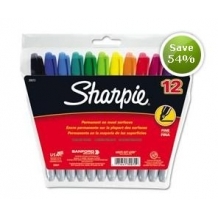 These classic, long-lasting, broad line markers are perfect for coloring, laying down lots of brilliant color without bleeding through most paper. 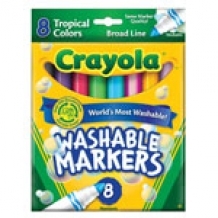 Completely non-toxic and washable! 8 assorted Brig.. 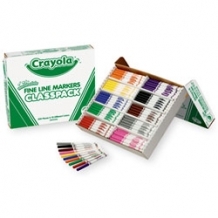 These classic, long-lasting, broad line markers are perfect for coloring, laying down lots of brilliant color without bleeding through most paper. 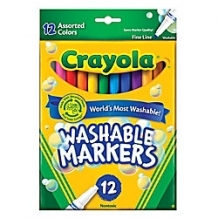 Completely non-toxic and washable. Made with recyc.. 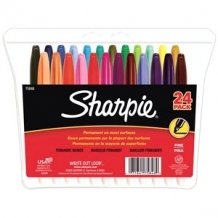 These classic, long-lasting, broad line markers are perfect for coloring, laying down lots of brilliant color without bleeding through most paper. Completely non-toxic and washable! 8 assorted trop.. 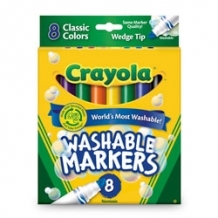 These classic, long-lasting, wedge tip markers are perfect for coloring, laying down lots of brilliant color without bleeding through most paper. 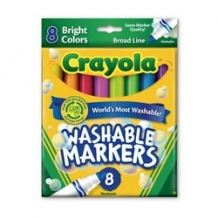 Completely non-toxic and washable! 8 assorted class..